Goodbye mini dress, hello maxi! 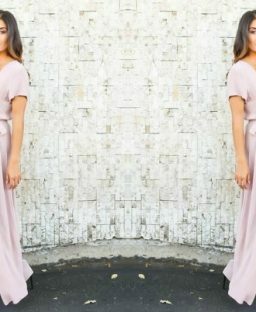 As the title above suggests, we are major fans of the maxi dress especially as summer is getting closer and closer. It’s the ultimate summer dress, would you agree? Day or night, a maxi dress has the ability to look effortlessly stylish. 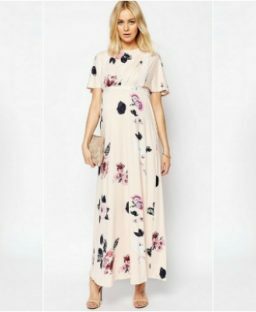 Today on pippa.ie, we’re talking floaty breezy dresses in particular that would be perfect for a sun holiday or even a summer wedding. You can go for pretty floral patterns, or add an edge in a maxi with a plunge neck and/or thigh-high splits. And of course, the bardot/of-the-shoulder style is having a huge moment too! We love how ankle boots look with a maxi, especially for a festival. What do you think? We’ve handpicked 20 of our favourites that you’ll hopefully like for summer. Check them out below and as always let us know which gúna is your favourite?